District Administrator accounts have 3 useful Stats tools available in the toolbox on the right side of their portal. 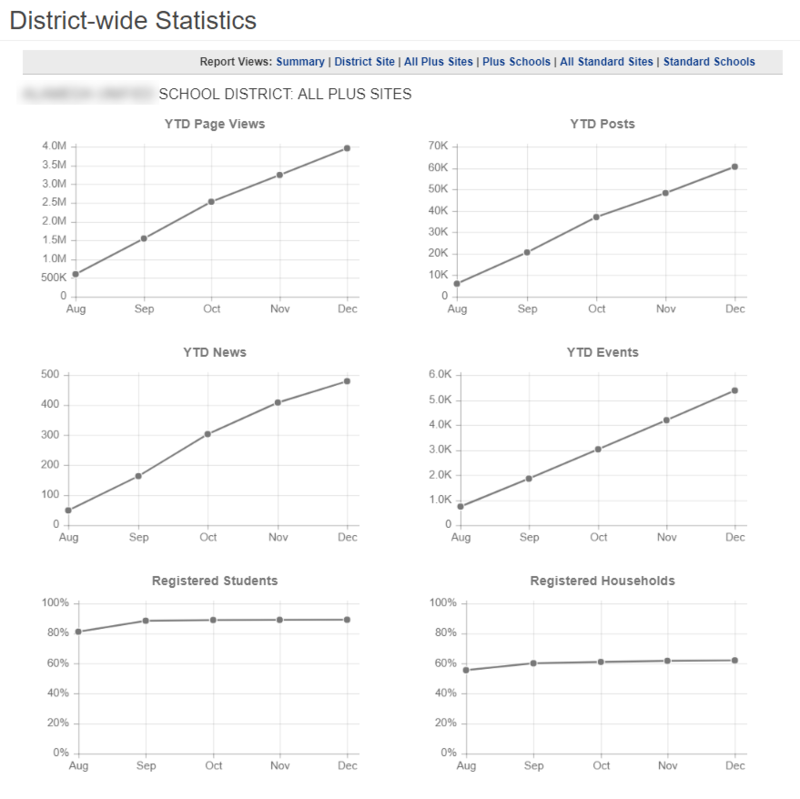 The District-Wide stats give you an online report and graphs of stats for your district. The school and teacher statistics produce downloadable files which can later be edited in Excel. 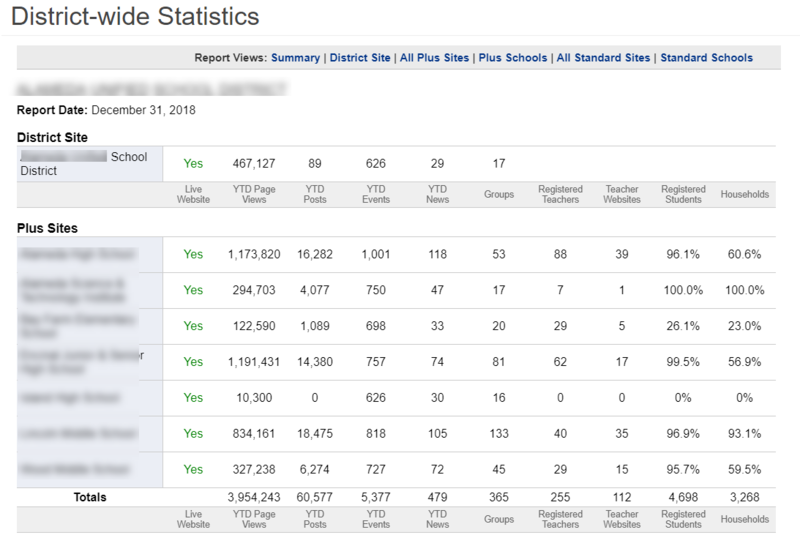 The default report is a summary of the Year To Date (YTD) stats for the district office and all of your school sites based on the collected data. YTD refers to the period beginning the first day of current calendar year or fiscal year up to the current date. Using the Report View menu near the top of the page, you can also view graphical stats for the whole district, Plus schools, or Standard Schools. The school reports are broken down per schools. The number of posts made in the current school year. (Posts include assignments, events, notes, news, and LoopMail messages). The number of registered teachers. The number of teachers with a currently published website. The percentage of registered students at the school. The percentage of students with at least one registered parent.